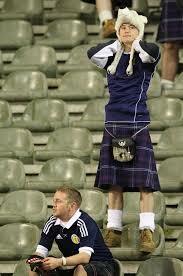 Those who know me well will know that I am a long-suffering Scotland football fan. I have followed the national team for more years than I care to remember. Anyone who knows anything about sport in general, and perhaps football in particular, will recognise the dilemma that most football fans face. That is, they cannot always ‘choose’ their team. As a professional coach and a psychologist who spends most of his life spreading the message that we all have choice, this does not sit well with ‘what I know’. Why don’t I simply support Barcelona, Bayern Munich, Argentina or whatever team is top of the division on any given week? That would be easy. It would take away a lot of the pain and disappointment that inevitably occurs when you follow Scotland’s world cup and euro championship qualification ambitions. But, I think that is to miss the point.